Some of the hottest hatchbacks aren’t all brand-new this year. Smart shoppers will do their homework and check out cars that were redesigned or significantly refreshed either this year or last. 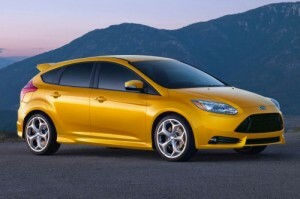 The key to the best new hatchbacks of 2013 is how well do they fit your needs? Consider styling, performance, fuel economy, standard and available features, safety scores, value and price. 2013 Ford Focus ST – A new model this year, the 2013 Ford Focus ST is a performance four-door hatchback that delights the driver in more ways than one. The 2.0-liter turbocharged engine is an exclusive in the Focus lineup, providing 252 horsepower and 292 pound-feet of torque. Paired with a six-speed automatic transmission, the combo is good for an EPA-estimated 23 mpg city/32 mpg highway/36 mpg combined fuel economy. Other pluses include excellent handling, an upscale and well-equipped interior, and a car that feels definitely worth more than what you pay for it. 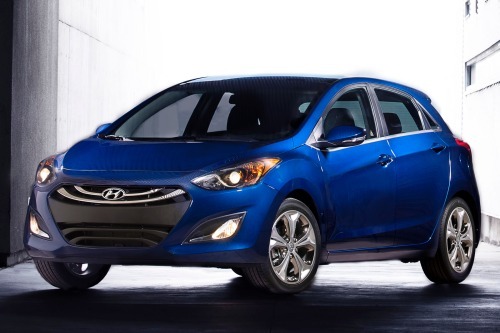 2013 Hyundai Elantra GT – Unless you’ve been under a rock for the past couple of years, you know that the Hyundai Elantra has been highly successful in the market. For 2013, Hyundai has added a five-door variant of the Elantra to its lineup, the Elantra GT. Power comes from the 148-horsepower 1.8-liter inline four-cylinder engine. A sport-tuned suspension, the lowest curb weight in the segment, and specific aerodynamics contribute to the Elantra GT’s appeal. Add to this copious cargo capacity, including under-floor storage, a cooled glove compartment, numerous cup holders and a sunglass holder and this is one small hatchback that’s sure to please. 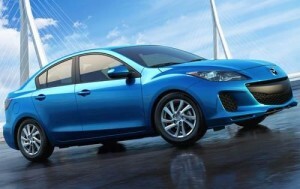 2013 Mazda Mazda3 – Whether you’re looking for an affordable small car, compact car or hatchback, auto critics say you can’t go wrong with the 2013 Mazda Mazda3. Its powerful engines and sharp handling virtually seal the fun-to-drive deal or, in Mazda-speak, pure “zoom-zoom.” In its five-door hatchback configuration, the Mazda3 comes in three trim levels. The hatchback-only Mazda MazdaSpeed3 is only available in one trim. Available SkyActiv engine technology paired with a six-speed automatic transmission achieves a 40 mpg highway fuel economy. 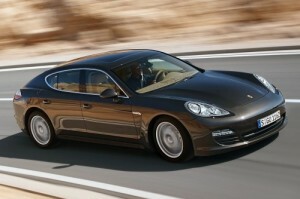 2013 Porsche Panamera – Not your typical hatchback, the 2013 Porsche Panamera is a four-door, four-passenger luxury sedan with a hatchback-style trunk. Getting into a Porsche Panamera means choosing from 10 trim levels, all the way from the base with its 3.6-liter V6 engine (and starting price of around $74,850) to the Turbo S with its 4.8-liter V8 engine (and $175,300 starting price), even including an S Hybrid starting from $96,150. What else is there to say about the Panamera, except impressive cornering, ultra performance, comfortable ride and exquisite cabin? 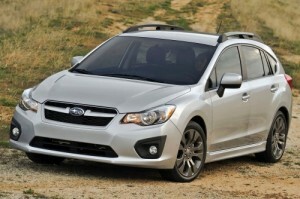 Only that this hot hatchback is really a car that offers a lot of everything certain buyers are looking for. Is it right for you? 2013 Subaru Impreza 5-Door – Redesigned in 2012, the Subaru Impreza 5-door for 2013 continues to impress consumers in the market for a nice-handling hatchback with standard all-wheel drive and good fuel efficiency. Powered by a 148-horsepower 2.0-liter four-cylinder engine, the Impreza 5-door can be equipped with either five-speed manual transmission or an automatic with paddle shifters. The car’s chassis feels solid and even though the spacious cabin of the base car feels minimal, add a few upgrades and you’ll be all set.